Within the broad spectrum of automotive piston designs and materials, the difference between forged and billet pistons often blurs. 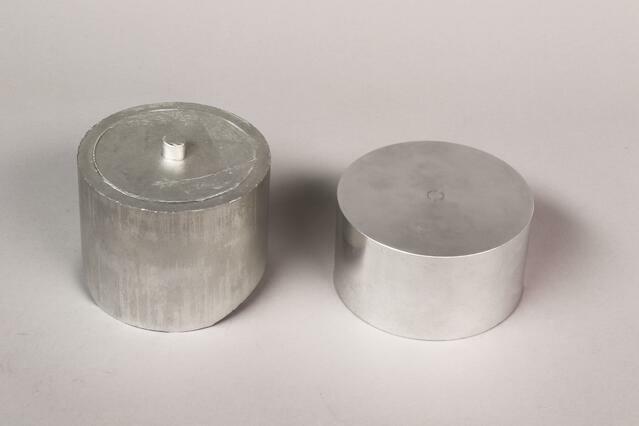 Billet pistons are commonly thought to be stronger and tougher than forgings when in fact, their strength properties are surprisingly similar, with forged pistons holding a slight edge due to the improved grain structure contributed by the forging process. However, the difference is such that even in higher-end applications, strength is not an overriding consideration. 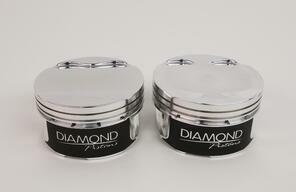 All forged pistons begin as either a forged blank, or a forged billet. A forged blank (left) is pressed into a rough shape by hundreds of tons of pressure, whereas a billet is cut from a piece of forged bar stock. Billet piston demand has risen sharply in recent years primarily because of time requirements and the expanding need for racers and race teams to pursue new piston features. When requirements and design adjustments call for geometry changes in the strut braces, pin towers and other areas that cannot be accommodated with an existing forging blank, custom billets are the quickest way to meet the emerging need. If the anticipated power level is determined to exceed the limits of any available forging option, billet offers a quicker, cost effective way to implement specific design requirements without delay. This is particularly true in low volume applications where developing a new forging would be costly. 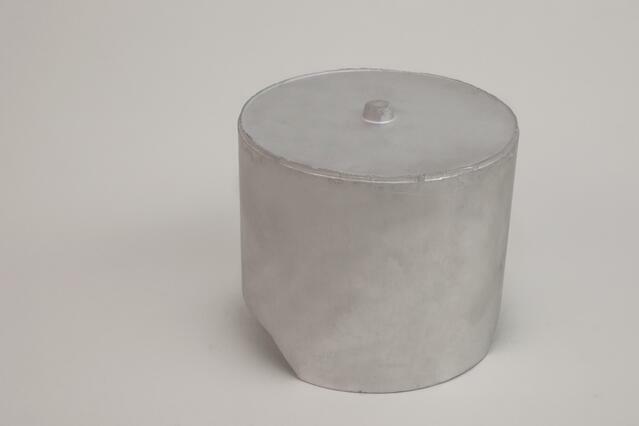 Existing forging blanks are often used to make pistons for different engines with similar dimensions. The position of the ring pack and the pin can be adjusted within limits to make different pistons from the same rough blanks. Billets offer much greater customization options because the machining operations start with a raw metal slug not constrained by the pre-set shape of a forging blank. A forged blank, such as this one, requires a specialized forging die. 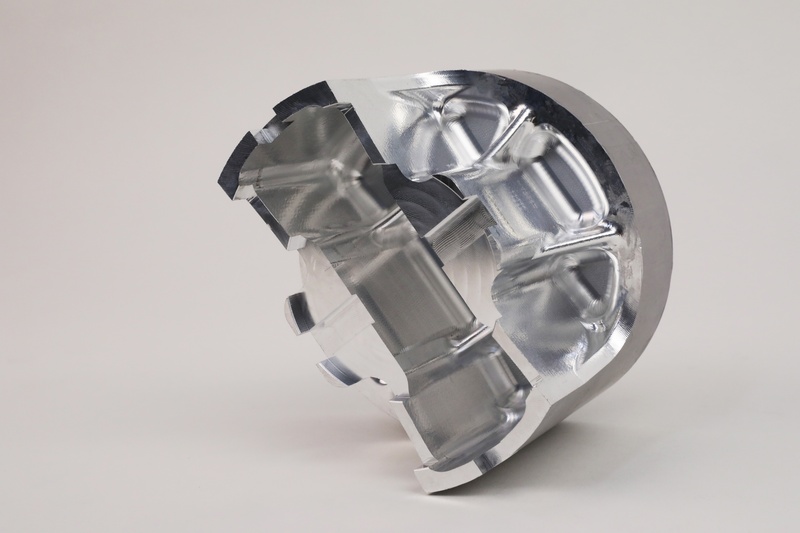 This forging die can only produce one part, making it both an expensive and time consuming process. Typically, a forging die is only produced to make parts in significant quantities. To accommodate volume requirements, popular piston selections are reinforced with a good supply of forging blanks that suit their overall requirements. Sometimes a suitable blank will not support the design stipulations of a given piston order and a billet makes more sense. Once the design elements are finalized it can proceed straight to the machining center and the pistons can be made without delay. 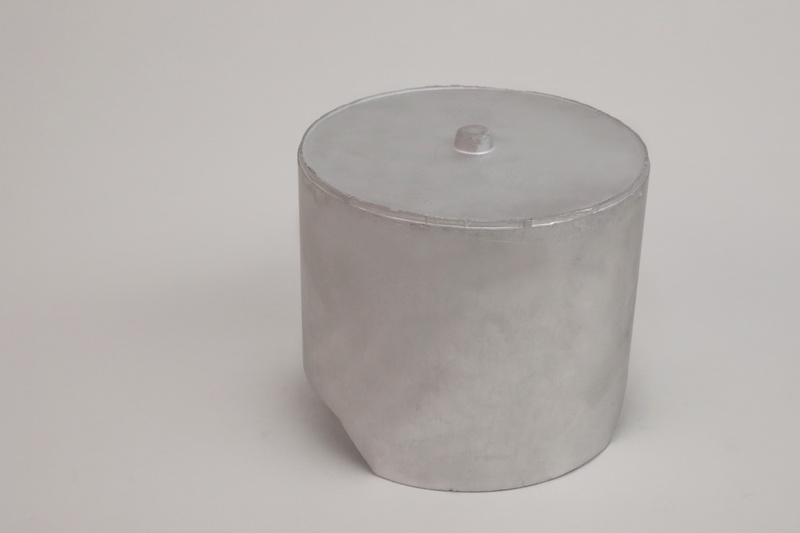 Billet pistons are also used for proof of design concept exercises where a part is developed and extensively tested and modified before converting it to a forging via the appropriate tooling. Whether forged or billet, each type of piston design is computer simulated and evaluated in FEA (finite element analysis) first. This occurs regardless of time constraints, but from that point, billet pistons can be run almost immediately where a forging may require new tooling and longer setup time. Billet slugs are cold sawed from bar stock and machined directly. Forgings are also cut from bar stock and then literally punched into shape via large mechanical or hydraulic presses with thousands of tons of pressure. Both the alloy and the forging die are heated to about 800 degrees F to minimize heat transfer and encourage optimum grain structure within the forging. This billet piston started out as a solid puck of aluminum. Note the shirt profile, struts, and all of the other material that had to be machined away to yield such a complicated shape. Despite the added machining complexity, a billet piston can be created quicker than a from-scratch forging because it does not require the creation of a forging die. Machining operations for forged and billet pistons occur on the same equipment. In the case of forgings, the under-crown structure is created with smooth transitions to the pin bosses and supporting structures by the forging die. On a billet piston the under-crown must be fully machined, where it is optional on a forging. 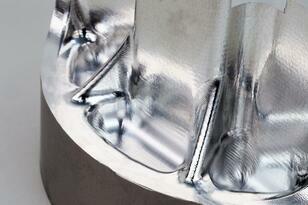 Forgings may enjoy smoother transitions between the pin towers and the under crown because the tooling forces it. Billet machining operations can often approach the smooth transitions found in forgings, through precise CNC programming. On a forged piston such as this Diamond LS2K, undercrown milling is a feature designed to improve crown thickness uniformity and reduce unnecessary weight. On a billet piston, undercrown milling is required as a means of creating the piston shape. NHRA Pro Stock teams and NASCAR cup teams were among the earliest proponents of billet pistons, quickly grasping the potential to re-evaluate component relationships between the piston, combustion chamber and valve angles for maximum power and efficiency. 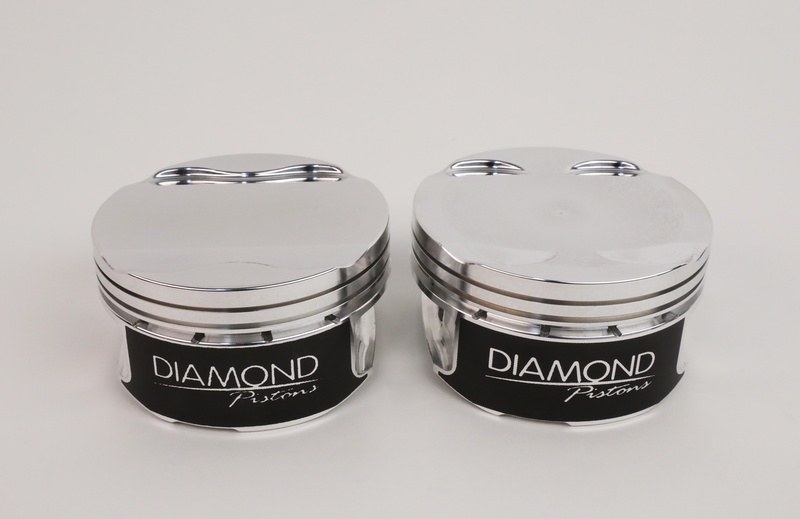 Diamond Pistons was one of the earliest manufacturers to embrace the billet movement, but it quickly discovered the challenges of folding it into everyday piston manufacturing. So, it developed a dedicated department with its own engineering staff and equipment to meet the varied and specialized requirements of billet production. 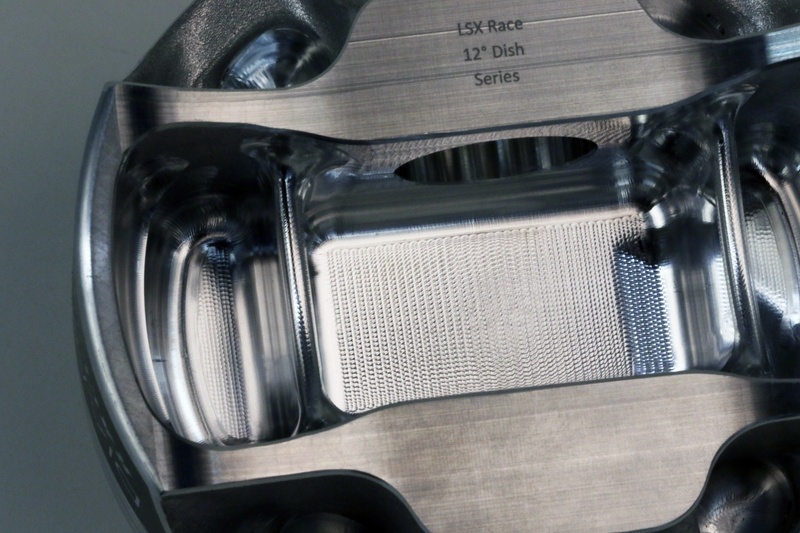 While forgings are the bread and butter of most race and performance applications, billet pistons are often the choice of race shops and race teams that highly customize their pistons. 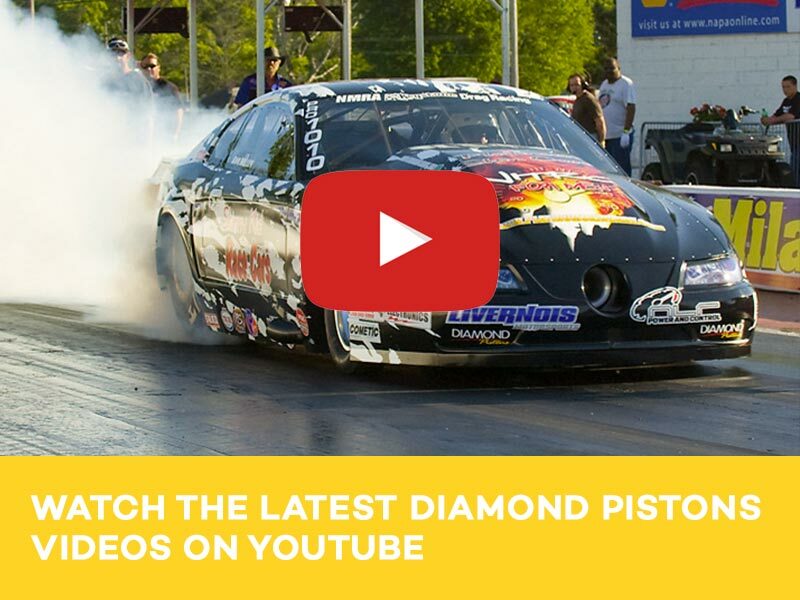 Diamond’s rapid turnaround time, due to their expertise and investment in billet technology, helps teams experiment with different piston designs to optimize their racing programs. Billet pistons make it possible to quickly design, test, and evaluate new ideas. Once the piston is finished being machined, it is often difficult to distinguish a forging form a billet. However, in terms of ultimate strength, forged pistons do have a slight lead because of their favorable grain structure.